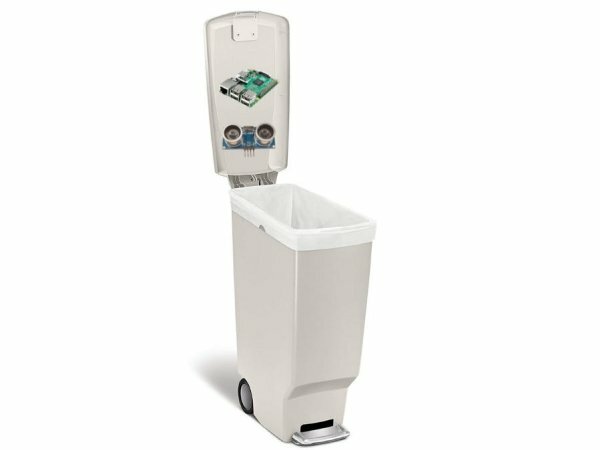 Our Smart Garbage Can is equipped with sensors that can monitor the level of Garbage in your can and alert if it needs removal. 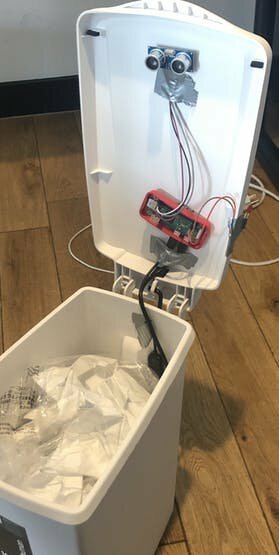 Our smart garbage sensor was created with a Raspberry Pi Zero, some sensors, and lots of duct tape! It’s able to detect when a bin is full and alert with a red light to indicate it requires removal. 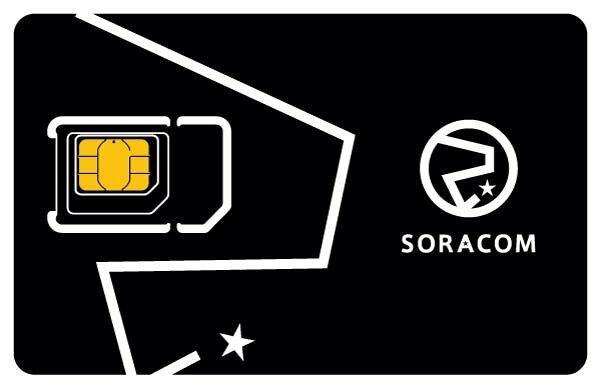 The project uses a Soracom Sim (cellular IoT) to keep the garbage can connected. An ultrasonic sensor determines how full the bin is and sends a message via MQTTs to turn on/off the light based on status. 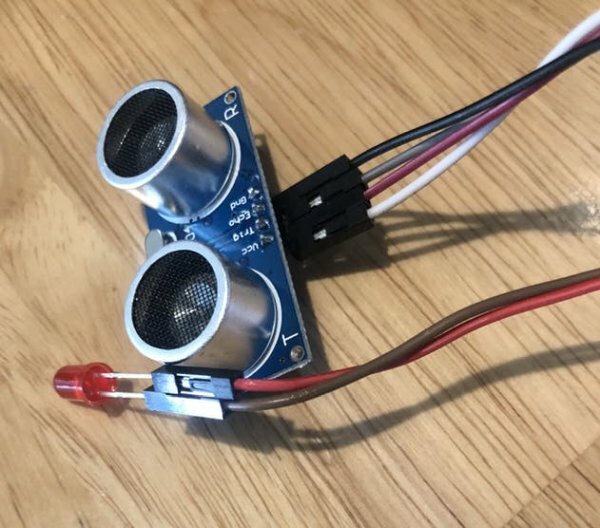 My first step was to wire the Ultrasonic sensor and LED light to my Raspberry Pi. For wiring I used female to female jumper cables. For power I used a portable charge bank from InIu. This should keep the our sensor powered for plenty of time. I’m also sending data from the Sensor via MQTT. 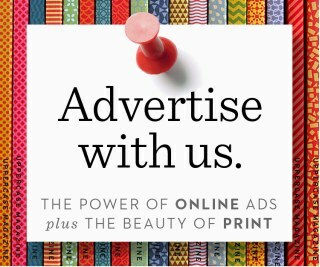 That data is sent via a cellular connection and encrypted at the cloud level. It it then sent in MQTTs and delivered via Transport Layer Security. 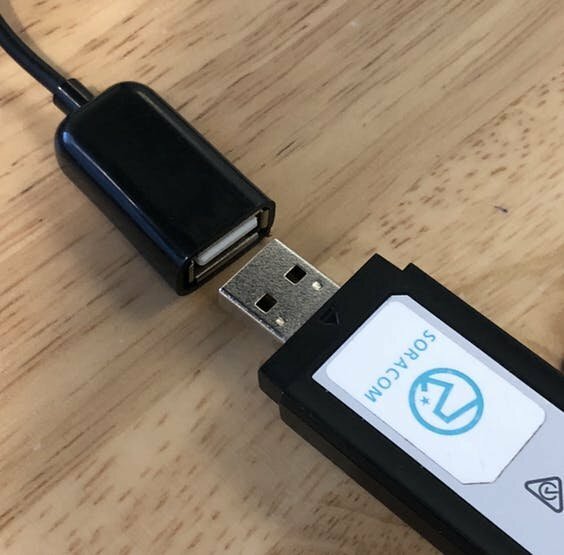 I used the 3G USB dongle [MS2131i-8] with a Soracom Sim to establish a cellular communication. 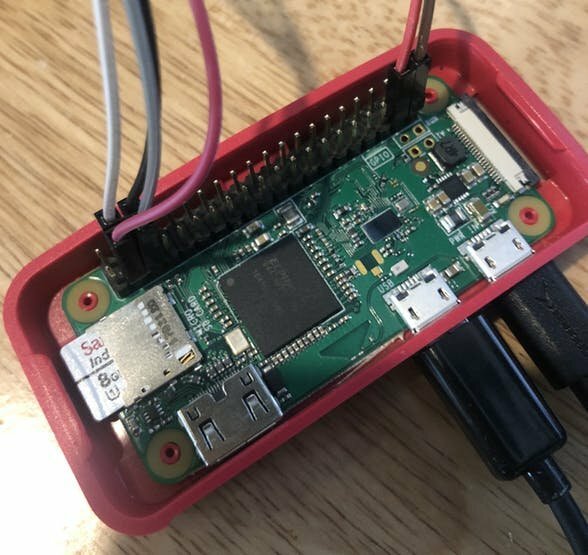 The dongle made it easy to attach to my Raspberry Pi and get a connection going. Duct tape can do some serious work! I used duct tape to secure the Ultrasonic sensor and Raspberry Pi to the lid of the can. I also used duct tape for the LED light on the top. 3 weeks after initially applying the tape and we are still holding strong! To run the code we used SSH to get in the Raspberry Pi. We then ran the python script attached. This provided the logic around our ultrasonic sensor and it’s communication around being empty and full.